Los Angeles Residential Wine Cellars – The Niche Transformation When someone said, “Los Angeles is the city of dreams,” they were probably referring to Culver City! This is the city where respected entertainment conglomerates were born and bred, and it was also gaining reputation recently as a viable hub for the higher arts. So, it should only follow that many of its residents were also sophisticated people. Indeed, the proof we have of this is the Los Angeles wine cellar project that the Whole Cellar designing team had just completed. So, what do you need to know about this certain project, then? Well, for one, the clients who contracted us for this job, Rob and Erin, meant to carve a wine cellar area from a niche that was located between their dining room and kitchen. The challenge there, as with most of the projects the Whole Cellar team had dealt with in the past, was the question of how they could utilize the limited space in the niche to create a wine cellar space that was truly functional. Sure, the project was difficult, but it could be done. Below is how the team pulled it off. This is the Culver City living room for the wine cellar project. Since the area that the Whole Cellar team would be working on has been a “common area” of sorts in the household for some time (as evidenced by the picture here), the first step was to perform an extensive demo of the existing wall coverings. That means they had to strip off the wall coverings, reroute electrical outlets and switches in the area to make sure that nothing ever gets “covered” by accident. This was code and observed strictly, since the walls of the area would have also needed preparation for refrigeration. With the clients having a pretty extensive 632 wine bottle collection, the team made sure that the wine rack they would create for this purpose should be deep enough to hold that massive wine set. So, they set out on making a rack with an enclosure that measured 7’ wide and 2’ deep. 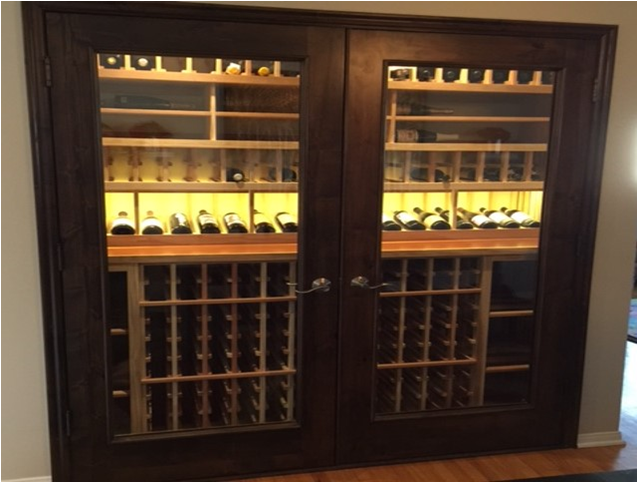 In effect, this allowed wine bottles of all sizes–including champagne and pinot–to be slotted snugly into their respective openings that measured 3 ¾” by 3 ¾” . Of course, since one of the purposes of a wine cellar is to display an owner’s prized wine bottle collection, the team included horizontal display rows that were meant to evoke a “label forward” philosophy. The lower half of the rack was meant for storing double deep square bins, so the design also accounted for bulk storage of the client’s other wine bottles. Many hours of collaboration between the Whole Cellar team and the client eventually led to the creation of a blueprint for the wine rack that the clients found satisfactory. 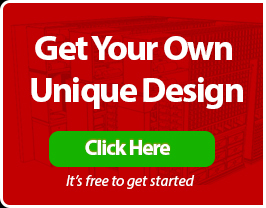 But as any wine enthusiast would know, that is only half of the design process. Up next: cooling. It might be easy to crack open a wine bottle straight from an ordinary pantry shelf, hoping the decant might help the flavor. However, one could only enjoy the full taste of it when said wine is stored in a highly temperature-regulated area. Passionate wine geeks would know that and, of course, so did our clients. The problem the Whole Cellar team had to solve for this aspect was to suggest a cooling unit that is not just reliable, but also portable and easy to install since the space it would be occupying is only minimal in the first place. This is the CellarPro unit used for the Los Angeles wine refrigeration system. 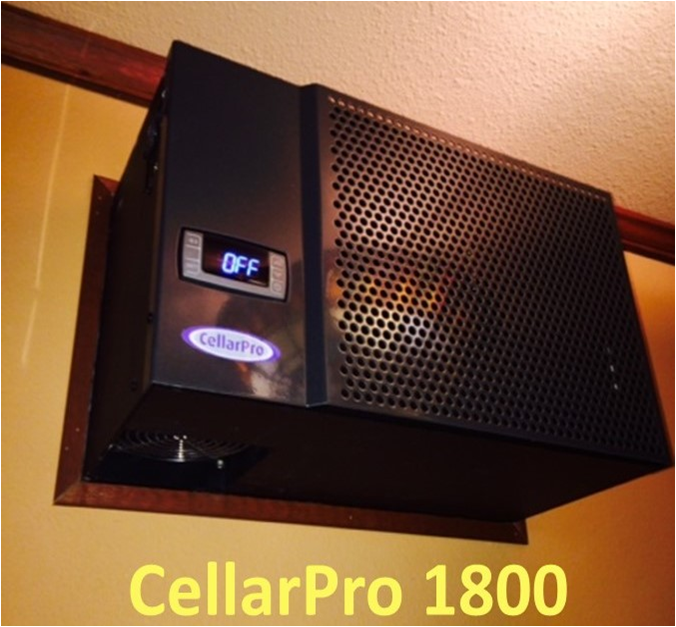 They eventually decided on using the CellarPro 1800, a self-contained cooling unit that could be installed in any area of the room. 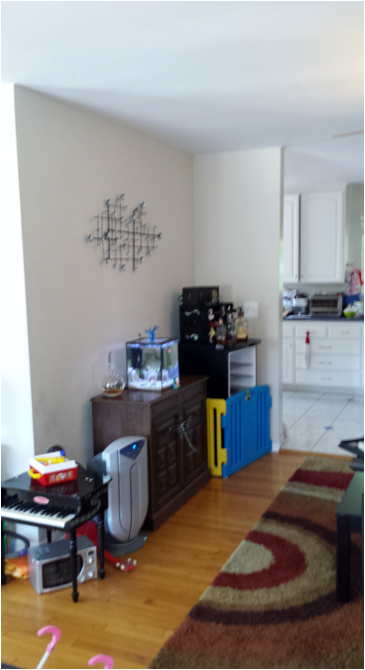 For this project, the system was mounted thru the wall with its back facing the pantry and its exhaust going through a designated hole in the cellar created for this purpose. Fresh air was pulled in from the pantry and the hot air exhausted to the crawl space above the cellar. The residential Los Angeles wine cellar project in Culver City was officially completed in August 2015, three months after the clients contracted Whole Cellar for the job. If anything, this only proved that any area in the household can be made to serve another purpose, and we are not just talking in reference to wine spaces. If you believe we could help you in any way, then do visit our official Houzz page so you could check out our past projects. We also offer free 3D design consultation for anyone interested in our expertise, and you could start by calling us at +1 (949) 355-4376. This is the finished Los Angeles wine cellar project in Culver City.